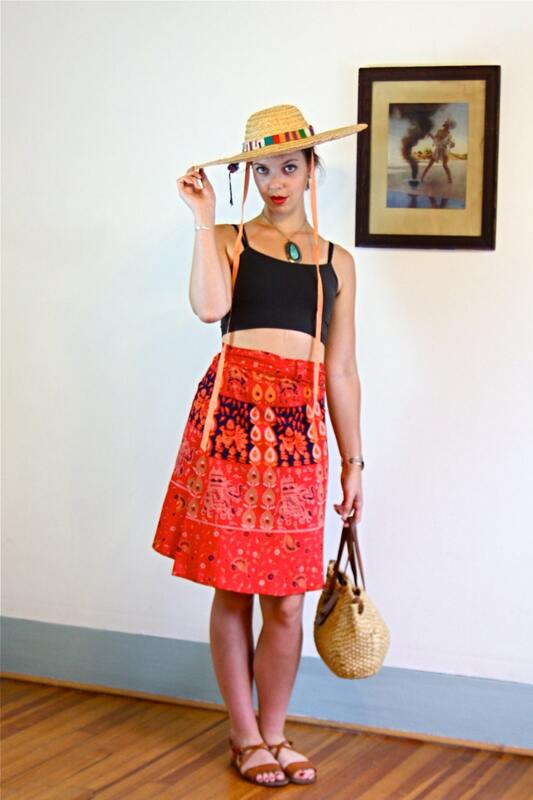 Vintage 70s Red Indian Wrap Skirt! Super Soft Cotton With Elephants, Birds, Peacocks and paisleys! 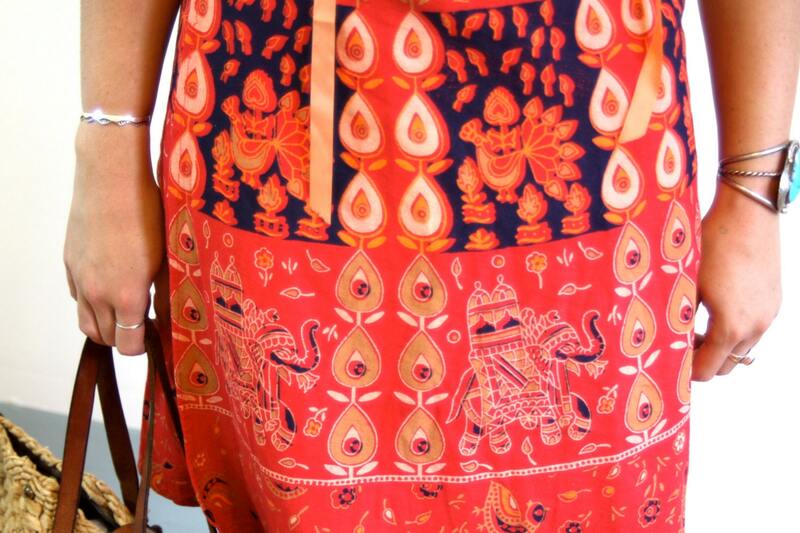 Such a beautiful India Block Print! 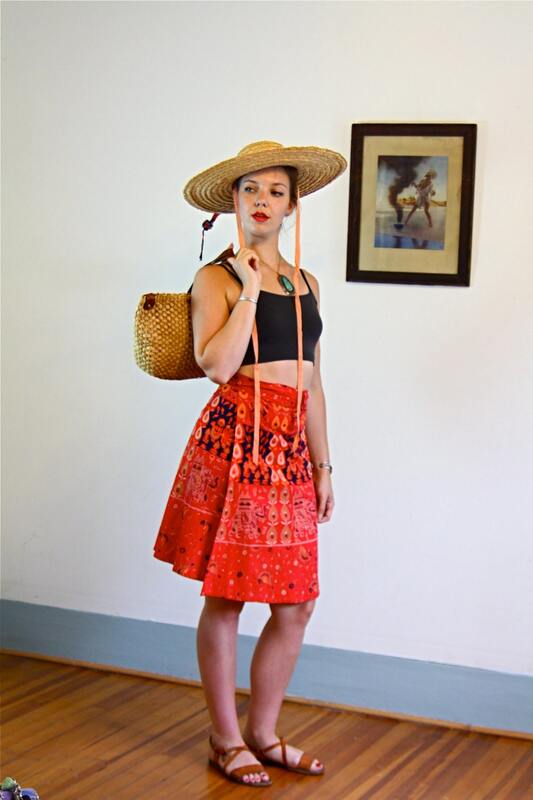 This skirt was made in India in the Late 1970s. 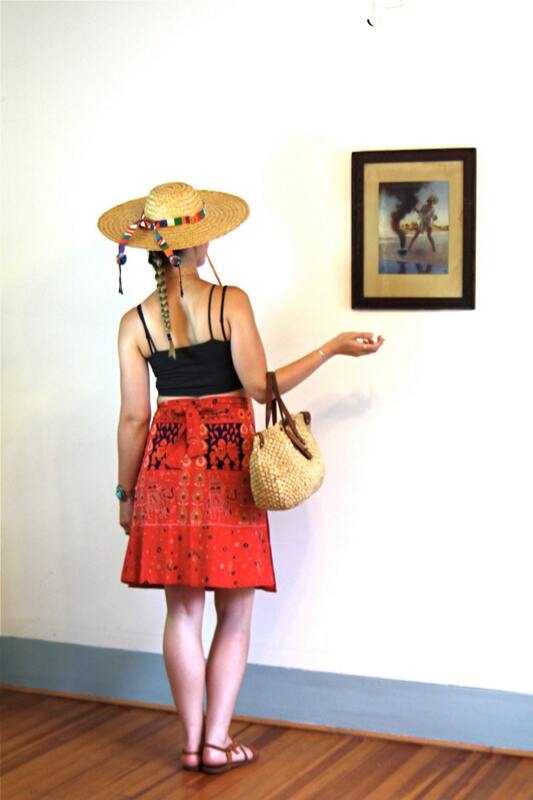 Model Measurements: bust:34" waist:29" hips:42" height:5'9"
This skirt is in Excellent condition!